With the recent jazz and classical music events taking place in Turkey, the number of people who enjoy these music styles is growing day by day. The well-known classical music and jazz venues in Beyoğlu and its surroundings are encouraging this affection and being home to great performances. Here are the places to enjoy jazz and classical music around Beyoğlu. Located in Şişli, Babylon regularly hosts world-famous artists. Babylon, which is a perfect live performance venue, gives prominence to both domestic and foreign jazz artists. The place, where substantial jazz festivals are held, has a capacity of 400 people. Located near Galata Tower, Nardis Jazz Club one of the places comes to the mind when people name the jazz music. With a capacity of 120 people, the venue welcomes not only local artists but also world-famous jazz artists. Nardis also organizes a competition such as “Nardis Young Jazz Vocal Competition” to help young talents to partake in international competitions. Kaset Mitanni, located in Besiktas, is a place of publicity with its music and food menu. The venue, where jazz performances are held regularly, is a tranquil place except for concert days. Serving for 22 years in a four-floor historical building in Beyoğlu, Jazz Cafe has a capacity of 200 people. Except for Sundays, it is possible to listen to jazz music between 20.00 and 04.00 for the whole week. There is also an excellent restaurant inside the place. Located on the ground floor of a historic apartment building, Atölye Kuledibi is on the Galata Tower st. Atölye Kuledibi, which is one of the places frequented by jazz musicians, hosts many local and foreign jazz artists. Often identified as a place of rest, 49 Çukurcuma is located in Beyoğlu, on the left side of Galatasaray Hamam. You can listen to jazz while having dinner in the place, whose menu mainly focuses on pizza, coffee, and jazz. Divine Brasserie & Jazz Club is located in Nişantaşı. It is possible to listen to jazz performances on certain days in the place which serves both as a restaurant and a cafeteria. The place which has a rich food menu is also reasonably priced. 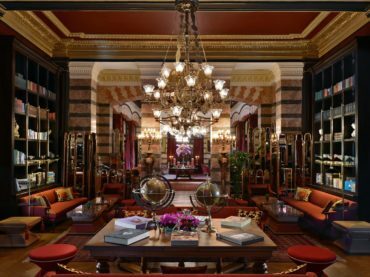 Pera Palace Hotel – Grand Pera Ballroom, home to memorable concerts and ballrooms for over 120 years, is among the places of quality with its natural acoustics. “Saturday Morning Concerts” will be held in the Grand Pera Ballroom, which is designed for special events with its high artistic ceilings and majestic open landscapes, will also host some of the most well-known artists who will charm classical and jazz music enthusiasts. In 2018-2019 season’s Saturday Morning Concerts, it is likely to listen to great performances of some artists such as; Hande Dalkılıç, Kevork Tavityan, Dilbağ Tokay, Emine Serdaroğlu, Dorukhan Doruk, İris Şentürker, Zeynep Keleşoğlu, Orçun Orçunsel, Burak Bilgili, Gökhan Aybulus, Şirin Pancaroğlu, Hakan Şensoy, Münif Akalın, Can Okan.